Springfield is home to the 200,000 square foot SCHEELS retail shopping experience that showcases Illinois largest selection of sports, sportswear, and footwear under one roof. 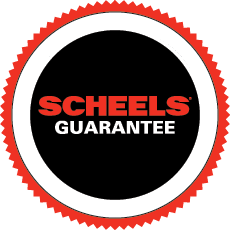 Unlike a typical sporting goods store or department store, the Springfield SCHEELS is a collection of entertainment venues, as well as women’s, men’s, youth, specialty, and sport and game shops. Brand-name concept shops by Nike, adidas, Under Armour, Columbia, and The North Face will keep you active in any season. Each shop is staffed with experts who are passionate about their sports. Be wowed by our gargantuan 16,000 gallon tank in our main entrance, which features brilliantly colored fish. Serving up gourmet soups and sandwiches, Starbucks coffee, and 24 flavors of homemade fudge! Springfield’s indoor shooting gallery will allow you to bring the fun of a skill shot competition to your life year round! Honor our forefathers with a tour of the “Scheels Walk of Presidents”. Each life-sized president is constructed and costumed the way history remembers them. Come take a photo with our lifelike bronze statues outside the store! The latest in technology for golf simulation will allow you to test out those new clubs you’ve had your eye on come rain, snow or shine!